Fibrosis refers to fibrotic tissue, Fibrotic tissue contains scars, the tissue becomes thicker loosing it’s elasticity and ability to react in a normal way. If we eat cooked food as we age all our internal organs shrink as a result of fibrosis (unless we take enzyme supplements). Fibrous tissue is one of the most abundant tissues throughout the body. White fibrous tissues consist of fibres of substance known as collagen, there are several kinds of fibrous tissue essential in the body, but the kind of fibrous tissue involved in fibrotic disease is produced as the result of inflammation and wounding, this produces scar like tissue that can invade organs. Pulmonary Fibrosis involves scarring of the lung. Gradually, the air sacs of the lungs become replaced by fibrotic tissue. When the scar forms, the tissue becomes thicker causing an irreversible loss of the tissue’s ability to transfer oxygen into the bloodstream. From a nutritional therapy standpoint, we can offer good suggestions to help Pulmonary Fibrosis; being an auto-immune disorder, and as such will definitely respond to the correct type of supplements. Read Factors Involved In Auto-Immune Disorders And Effective, Natural Treatment Protocols will give some grounding in the subject, and an understanding as to why we suggest certain nutritional supplements and what part they each play in eating away at the causes of Pulmonary Fibrosis. 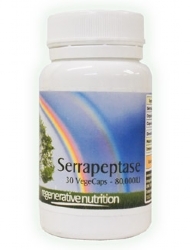 (1) Serrepeptase - this should be taken at quite high doses e.g at least 160,000 IUS a day, but double that dose is safe, as people can take large amounts of this, it is an enzyme so is not toxic. Example dose 60,000 IU's three times a day. This enzyme will thin mucous so it can be expelled from the lungs and the lymph system, reduce inflammation, and in the long term help reduce the actual fibrosis itself. 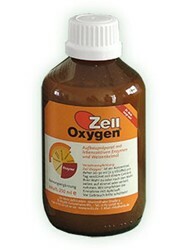 Furthermore it will have some calming effect on the immune system that is attacking the lungs. 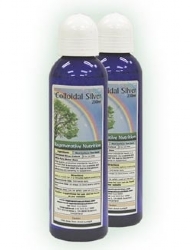 (2) Colloidal Silver - this in itself has some healing effect on the lung, but it's primary role is to eliminate the bugs, fungus or any known or unknown virus in the body that will most likely be aggravating and maintaining the condition. 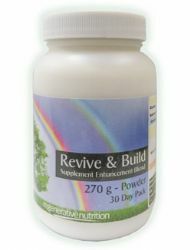 This will not damage anaerobic bacteria that are required in the gut, unlike conventional anti-biotics. (5) Hemp Oil - without the correct balance of raw cold pressed essential fatty acids any health restoration programme will be limited in its scope, and they are known to be one aspect of resolving inflammation. Just one dessertspoon daily. We also recommend the use of cod liver oil one dessertspoon daily, especially if the persons concerned are not getting regular sunlight. (6) A nutritional package that includes some sea weed. A full spectrum of mainly plant based nutrients are advised and for this we recommend Multi-Green Nutrition - this is available in capsule form. The sea weed aspect of it promotes cellular communication and aids detoxification, the other ingredients include the Vitamin C group with bioflavonoid, Barley Grass Juice Powder for a complete nutritional package. (7) Organic Silicon - this form of silicon is by far the most effective in getting sufficient quantity to be absorbed into the body, possibly a six to 9 months course of this may be sufficient to build up the silica reserves of the body. Silica is important for repair, especially of collagen (this is involved in the lining of the lungs, expelling foreign particles/toxins, restoring elasticity to the collagen (e.g blood vessels, lining of the lungs etc) and facilitating lymph detoxification. 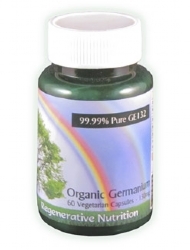 (8) Finally, Organic Germanium - two capsules a day will promote oxygenation of the tissues, and is a powerful aid to promoting cell detoxification and resolution of stubborn health disorders. 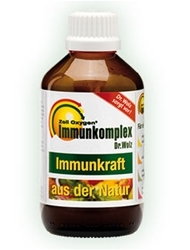 At first this product is rather stimulating and should be left until the person has adapted to the new energy engendered by the Immunocomplex and Multi-Green Nutrition. Please note that Serrepeptase may thin the blood by resolving excess fibrin issues in the blood, this thinning is returning the blood to a more healthy state, but if the person is already taking blood thinners, then the blood can become too thin, so monitoring is suggested. Also taking a good oil like Hemp Oil and cod liver oil can also have a blood thinning/normalising effect. The use of Liquorice Capsules to some extent is contra indicated for persons with pathologically high blood pressure, but not moderately high blood pressure. It may not increase blood pressure at all but in some potassium deficient individuals, it may raise blood pressure by way of liquorice's ability to conserve sodium loss from the body. 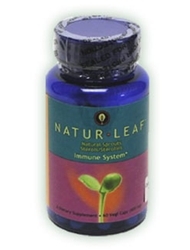 In these situations Natur-Leaf should be used instead, to modify the immune system (although it is probably less effective). The supplements recommended for the treatment of Pulmonary Fibrosis are listed below. Not all will necessarily be discussed in the article, as some may have been added after the article was posted. If a listed supplement is not mentioned within the article, or you wish to know more about any of the listed supplements, you can find out more information by clicking on that supplement below. You can also now add to your basket directly from this page.